Eighth grade scholars at Temple Hill Academy attended a career panel last week. 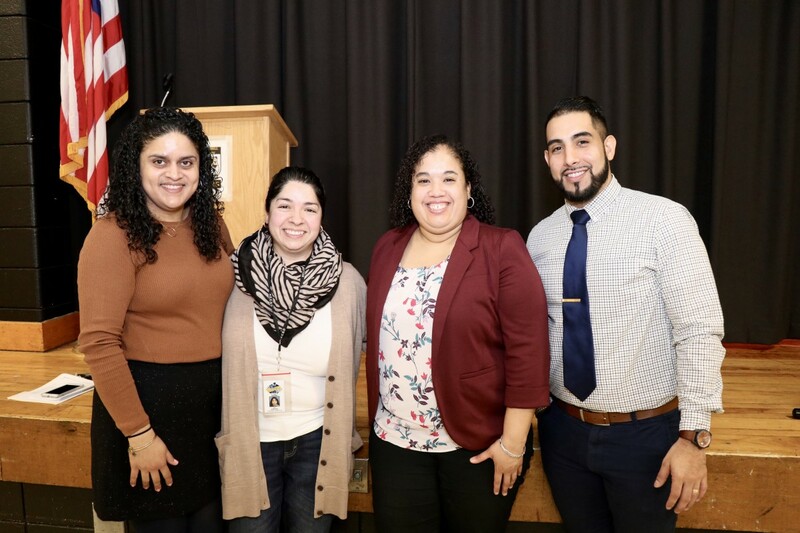 Students heard from an Admissions Counselor from SUNY Duchess and a School Counselor from Newburgh Free Academy, Main Campus. 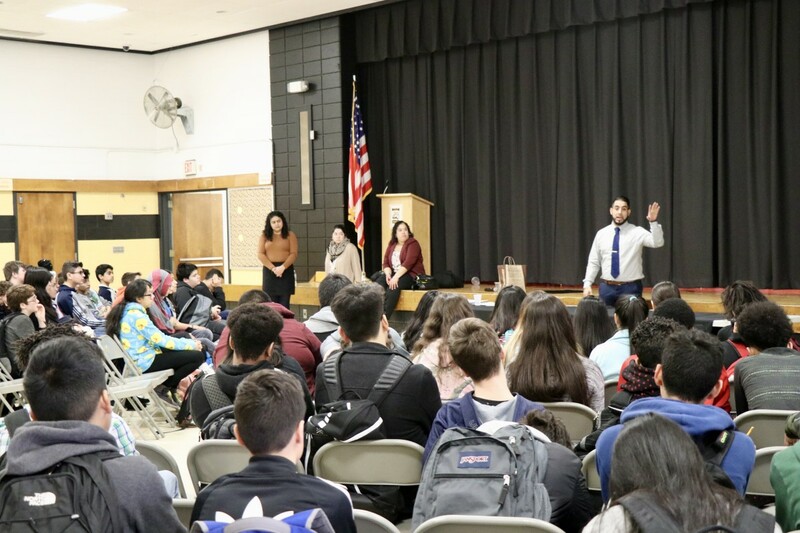 The discussion revolved around setting good habits and gave information about what students should expect to do to earn their way into college. 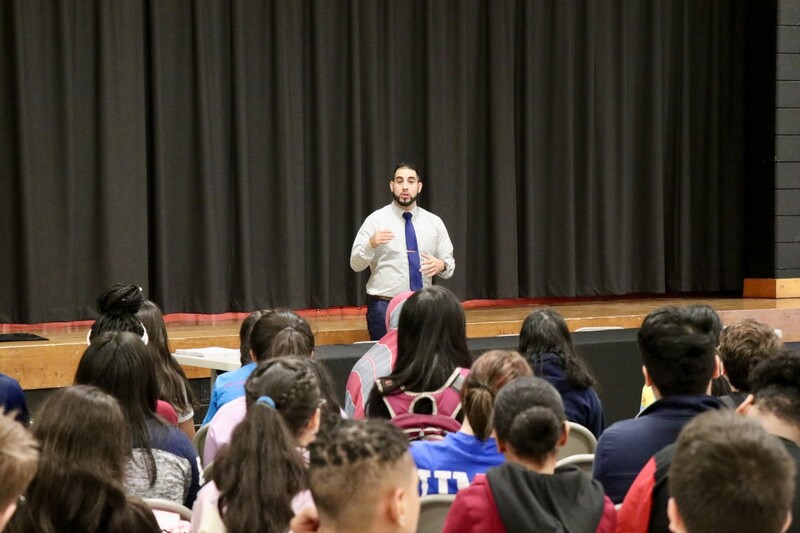 When students apply to college, Mr. Steve Posado, Addmissions Counselor from SUNY Duchess told THA scholars that he wants to see a work ethic. “Babysit, mow lawns, volunteer, join a club, run for a leadership position. 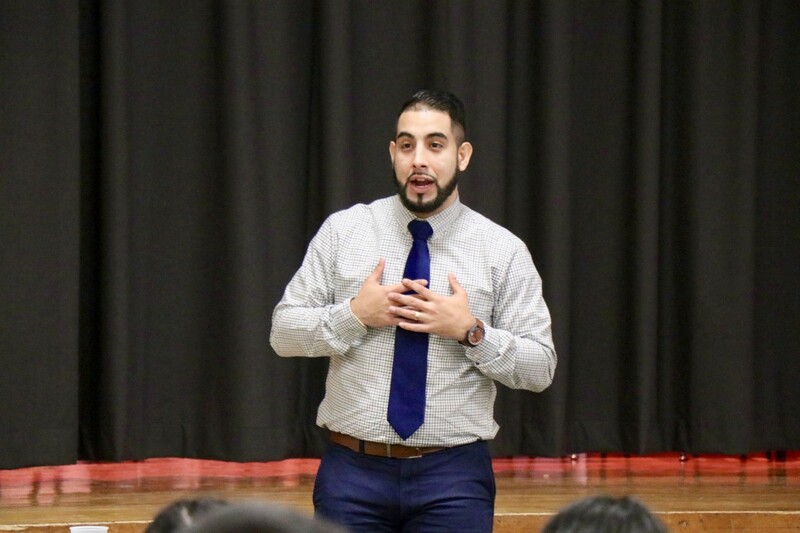 We want to see that you have initiative and motivation.” Mr. Posado encouraged students to talk to everyone and anyone who has been to college and ask questions about their likes, dislikes, and courses of student. Mr. Posado emphasized that the more information students have about different schools in combination with their own desires, will help to make the best decision for them. 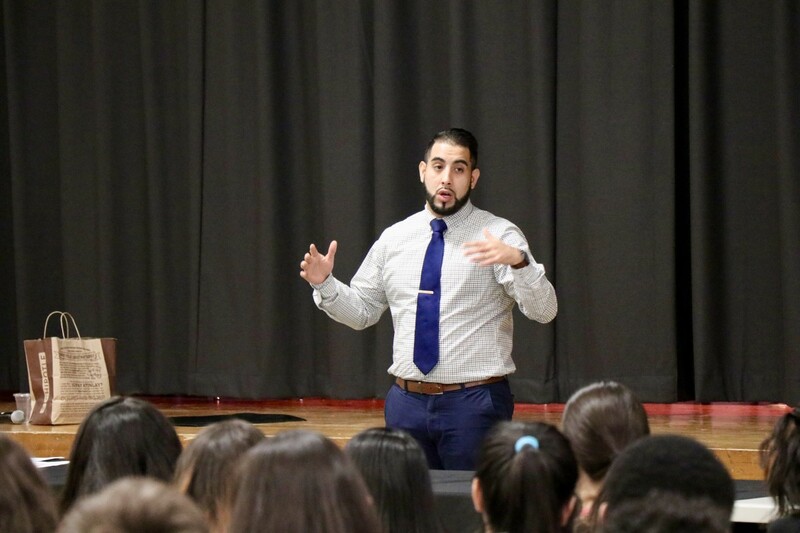 Mr. Posado encouraged students to run their lives as if they were a brand. He compared students to different brands and noted that when celebrities don’t act in line with the brand, they are dropped. Mr. Posado made this similarity by letting students know that if they don’t get good grades or behave well, then schools will not admit them. 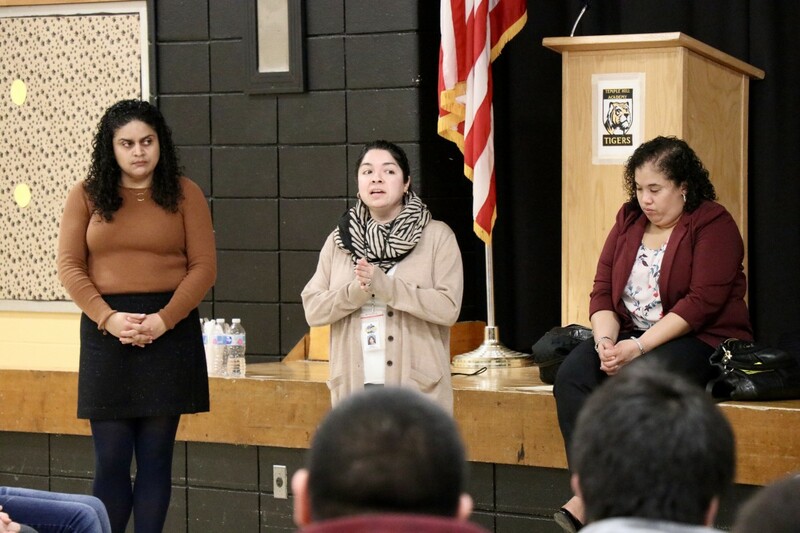 Ms. Hurtado, School Counselor at Newburgh Free Academy, Main Campus let students know about the college admission process and discussed the importance of creating good habits as soon as they enter high school in ninth grade and maintaining those good habits through their senior year. Earlier in the day, 5th grade students learned from a panel of professionals in various industries.